Stefan has been a Professional Photographer and Artist for over 25 years. For the last 15 years he has also been a Professional Printmaker in the digital arts. Making his home in Hawaii for nearly 20 years has influenced his subject matter and use of color. 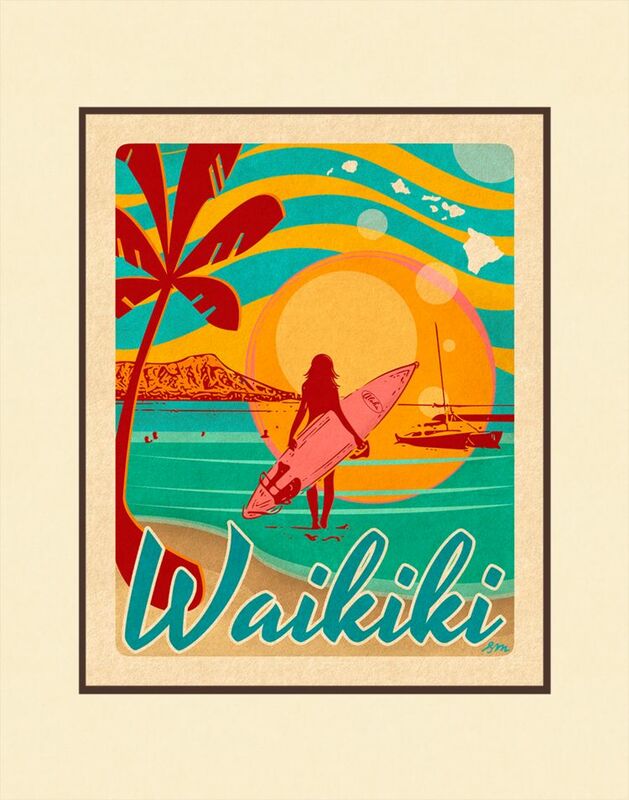 His love of poster art and print making from the1960's and into the 1970's has driven him to create a line of work that reflects Hawaii and the style of vintage poster art. Working with a limited color palette and solid graphic shapes, Stefan creates playful images that express Aloha and the magic of Hawaii. All prints are printed by Stefan on a beautiful smooth matte paper which delivers exceptional color gamut & dmax (rich deep blacks). This paper also maximizes the clarity and crispness of each image. Combined with the latest ink technology from Canon Stefan's prints exceed the highest print standards.